A hurricane’s rising water is Category 3 or grossly contaminated. Extra precaution must take place to keep the home and its occupants safe, part of which is to perform a "flood cut" which is seen in the picture. Even industrial carpets need a deep wash at least once a year. This school library had their carpet washed and ready for students the same day. A storm caused a multi-story water damage in this construction site. 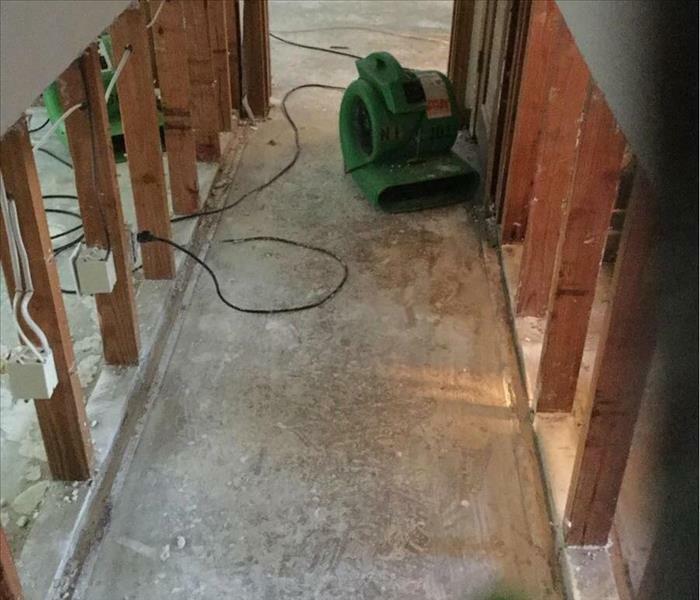 A strong storm caused a water damage in this construction site. This construction site was affected by a water damage when a storm passed through the area. 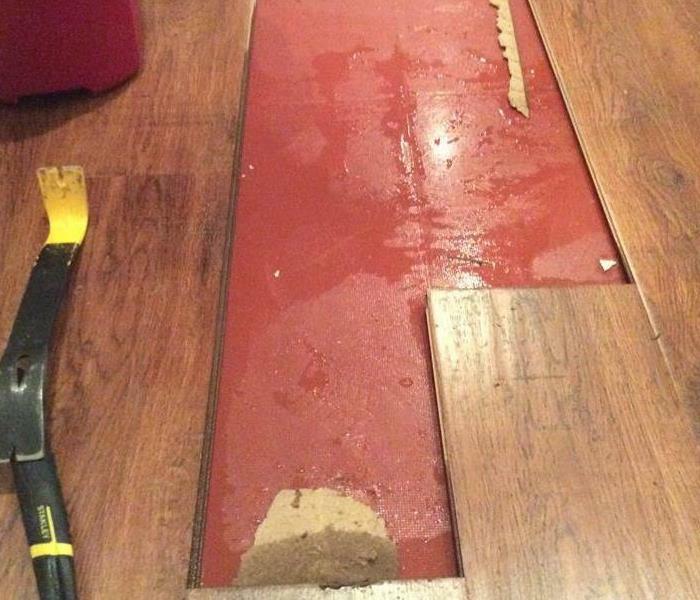 A storm caused this commercial water damage at a hi-rise. 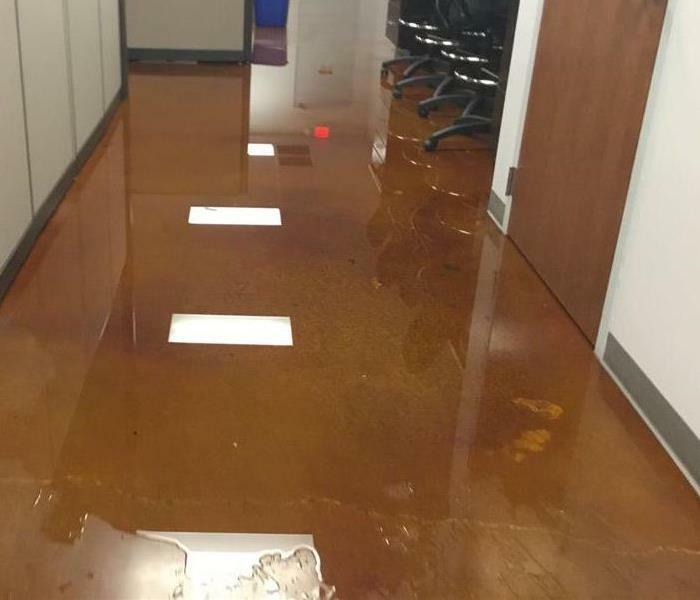 An undetected overnight leak caused a large water damage in this office. 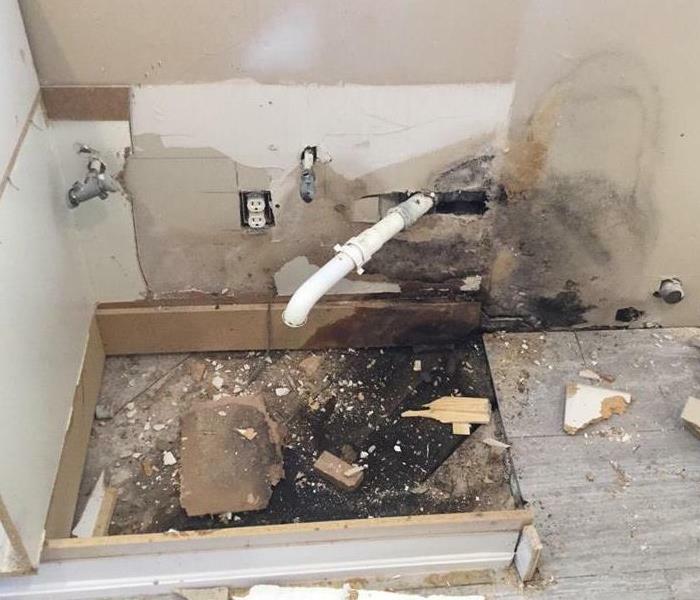 When this office was opened for business in the morning, they found that a water leak had caused damage overnight. Smoke and soot can travel through your home's air duct systems. The soot can settle in the air ducts and then spread when the HVAC is turned on. Containment is sometimes set up during a fire damage cleaning to prevent soot from traveling to other parts of the home. Mold was found under this home's kitchen cabinet. A water damage affected this warehouse. 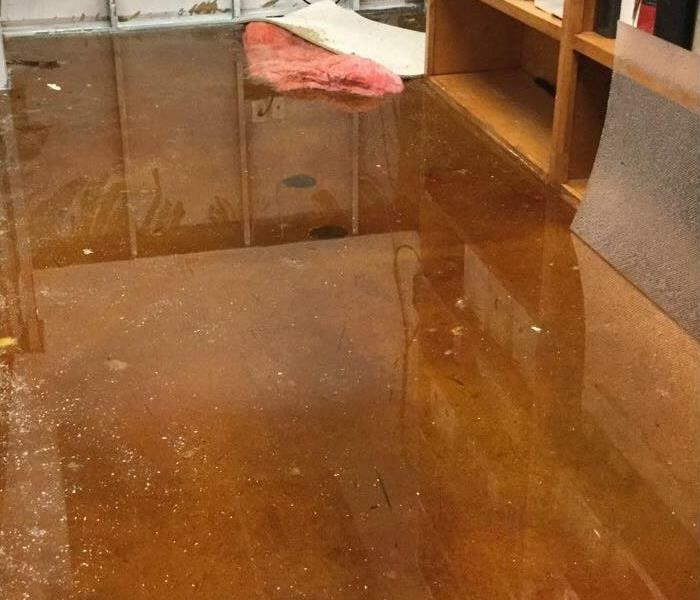 Business interruption is expensive, so our crews worked to quickly mitigate this commercial water damage. This water tank leaked and caused mold growth. 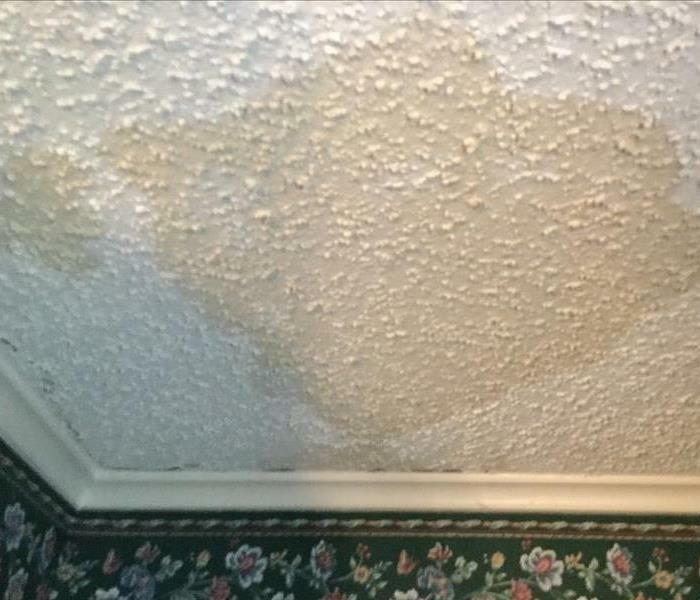 A water damage in an adjoining room caused the drywall and carpet to get wet and grow mold. Mold can even grow on furniture when it is not properly dried after a water damage. A slow leak caused this water heater closet to become a perfect environment for mold growth. This baseboard had mold grow on top of it when a long term water damage was left on the floor it was touching. A yellow stain is a good indicator of a water leak on the attic above. 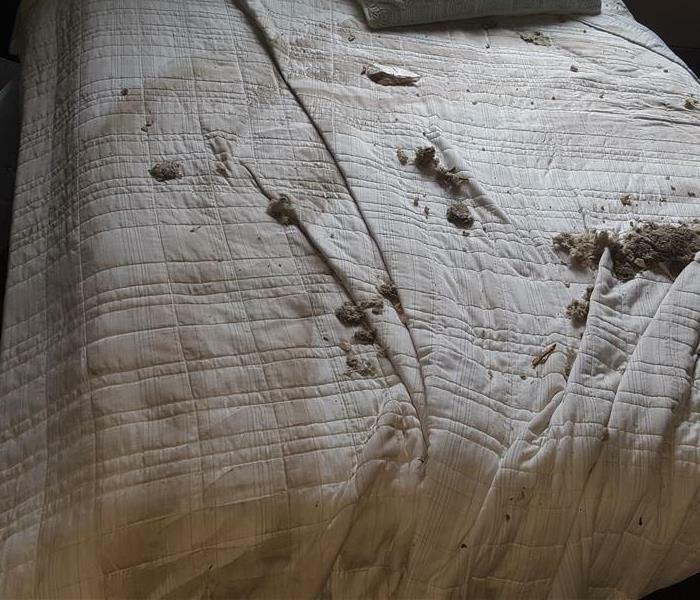 When a fire broke out in this home, one of the items affected was the bedspread in the bedroom. We clean textiles affected by smoke and soot and help them be safe to handle again. This home experienced a fire damage and needed many remediation techniques to restore it. 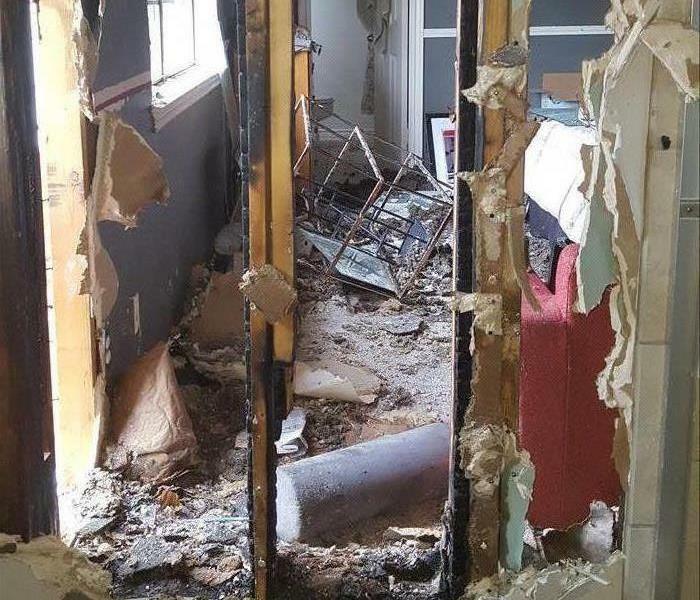 Fire damage requires demolition, air scrubbing, and other remediation techniques to make the space liveable again. We pump warm, dry air behind a drywall to help dry the space behind it without the need for demolition. It may not always be visible, but we can detect when flooring has water hidden underneath it. Mold remediation containment is needed to contain airborne mold particles. Fire containment is necessary to prevent soot particles from traveling. To dry behind drywall, we drill small holes and pump warm air behind it as well as add dehumidification. 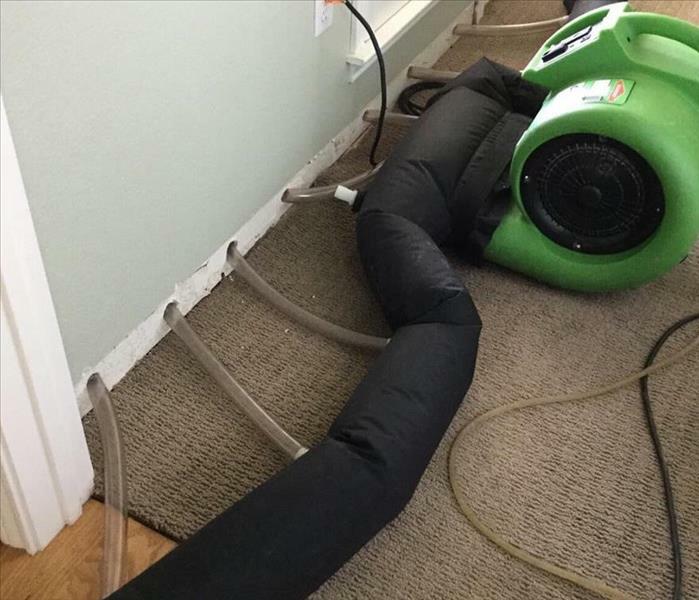 We use specialized drying equipment to save hardwood flooring. This broken pipe was caused by freezing conditions. 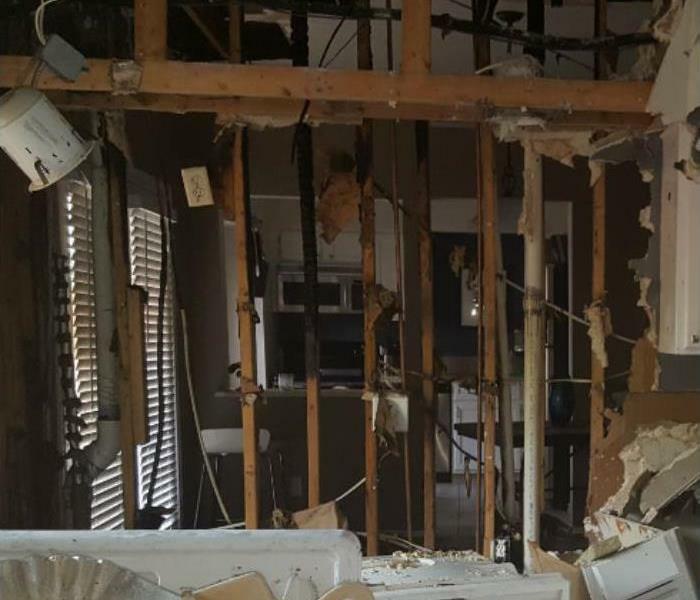 It caused a water damage in the homeowner's kitchen. 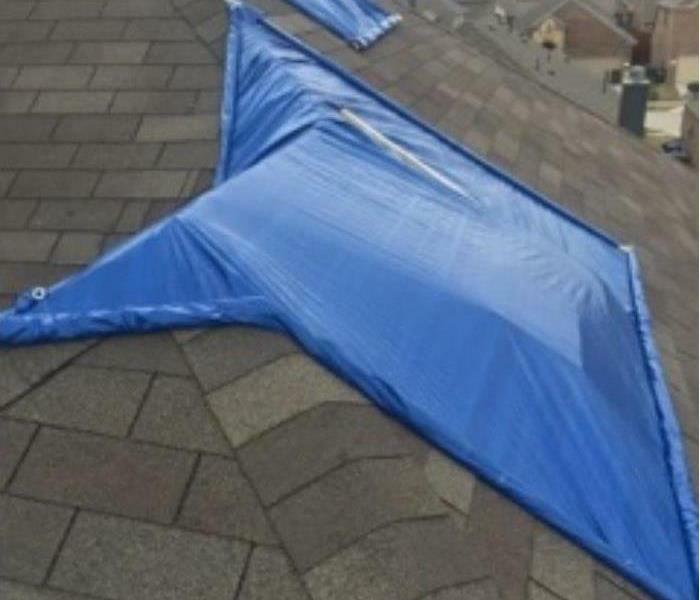 This roof needed emergency roof tarping after storm damage. SERVPRO of Ellis County's sales representatives attended the BOMA (Building Owners and Managers Association International) Conference. 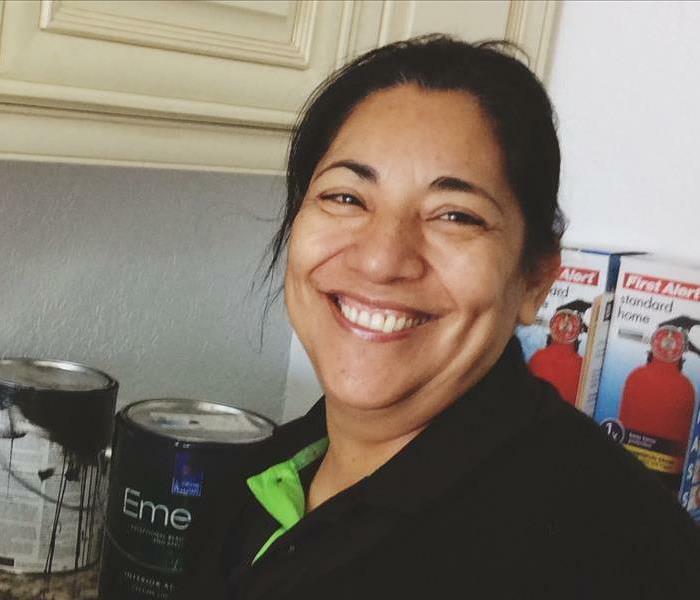 Although we are almost never called to happy scenarios, we take a lot of pride in being able to help out families and businesses when they need restoration services. 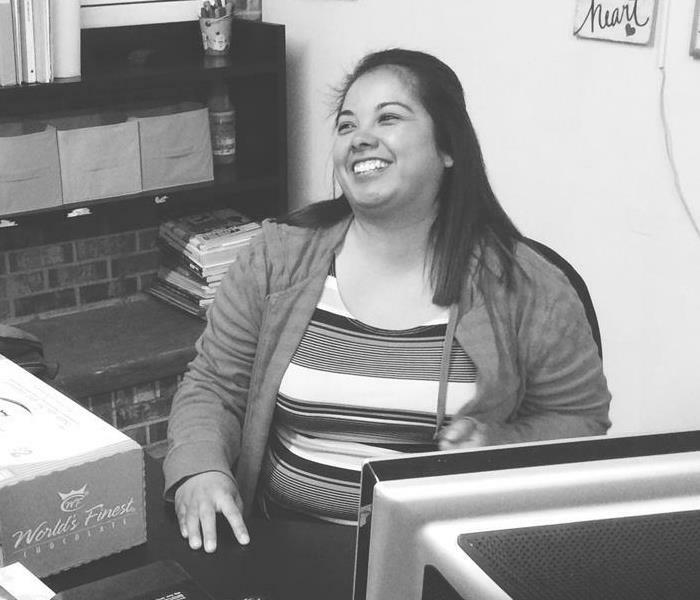 Our franchise has many women that lead and help almost every aspect of our business including production, sales and marketing, office administration, and management. 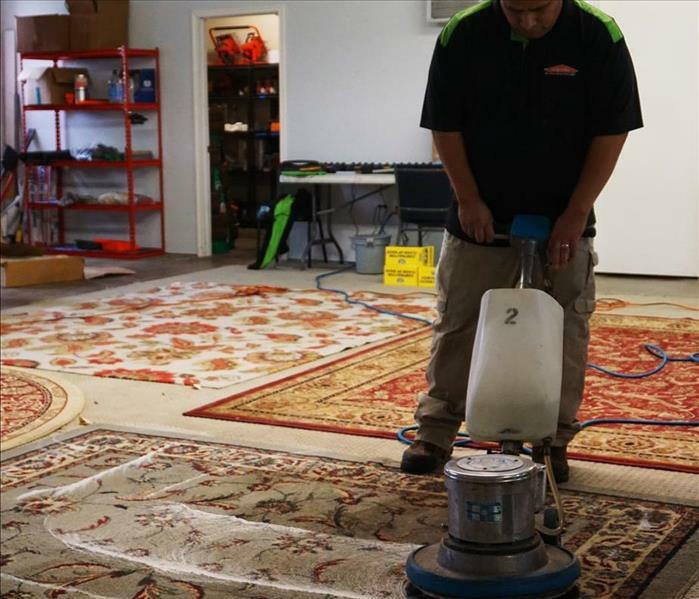 We are able to clean many types of rugs water a water, fire, and mold damage. The rugs are taken back to our cleaning facility, deep washed, and then delivered. 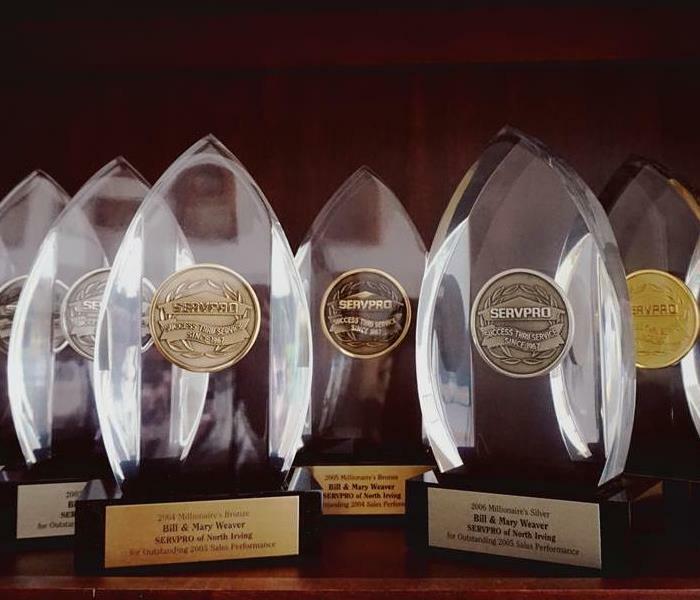 Our franchise has received numerous awards from SERVPRO over our 30+ years of service. 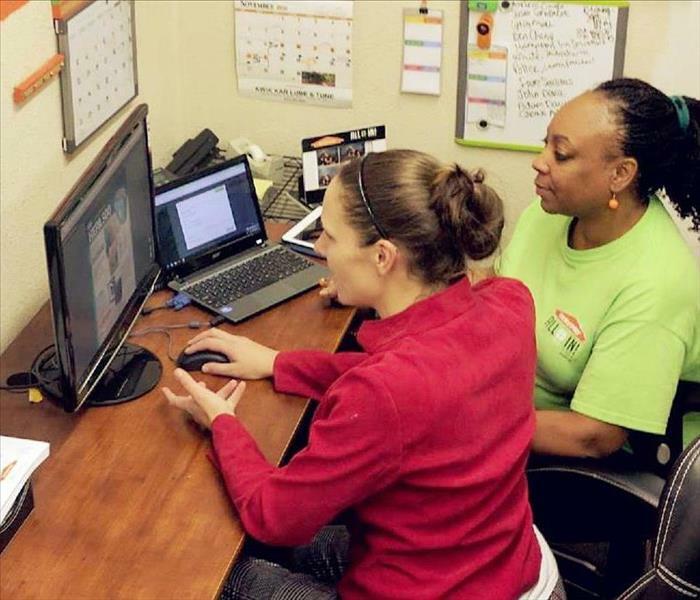 Our sales representatives participate in various community programs around North Texas. 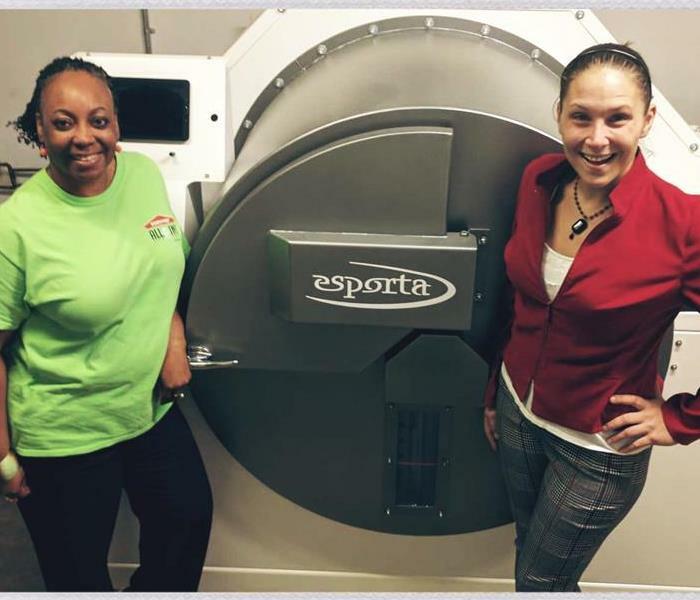 We are a certified Esporta Wash System operator, which makes us qualified to restore water, fire, and mold damaged textiles.